New York – As the Filipino community awaits the US Presidential Elections in November, the Consulate General, in cooperation with the Fil-Am Press Club New York led by Mr. Ricky Rillera co-organized a symposium entitled US Presidential Elections Forum: What’s in it for me? Noted Filipino-American representing the Democratic and Republican parties were invited to share their personal views and insights on their candidates’ advocacies and political platforms. During the forum, Ms. Loida Nicolas-Lewis and Mr. Jason Tengco represented the Democratic Party pushing for Hillary Clinton, while former Representative Jeffrey Coleman (R-PA) and Mr. Matthew Alonsozana represented the Republican Party. The event was ably moderated by Fil-Am Press Club member, Atty. Carol Tanjutco. During his remarks, Consul General Mario De Leon acknowledged the importance of the partnership between the Consulate General and Fil-Am Press Club to raise awareness for the Filipino political power and put their advocacies in action. He also remarked that 2016 is an important year for the Philippines that saw the election of a new Philippine President and in November, the Fil-Ams will help decide the next US Chief Executive. “There are 5.9 million Asian Americans who are registered voters in the US. In the 2012 Presidential Elections, Filipino Americans emerged as the 6th largest voting population by ethnicity and in 2008 and 2012, Filipino Americans helped President Obama get elected,” he added. Consul General De Leon further encouraged Filipino Americans to continue efforts in having their collective voice reflect their advocacies and to give their votes to those who can champion their cause. “Filipino Americans should be educated in the elections in the belief that an informed community is an empowered community,” he underscored. The format of the forum entailed the panel speakers to reply when quizzed in relation to their candidate’s platform and qualifications. 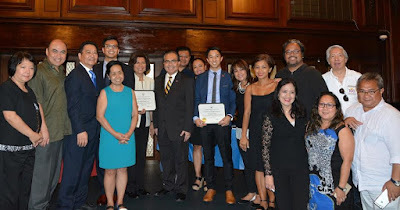 A sizeable crowd, which included Councilman Jonathan Wong of Mahwah, NJ, Fil-Am lawyers from the Filipino American Lawyers Association of New York, community members, students and the academe from Mount Saint Vincent college, attended the event held at Kalayaan Hall. During the forum, queries about the issue surrounding Hillary Clinton’s unauthorized use of a private email server were raised. Mr. Tengco said that Hillary had admitted her mistake and expressed that she would have separated her servers. He emphasized that the DNC considers this matter resolved, but it is unfortunate that this issue is being used to distract voters from focusing on the real issues, he added. When quizzed about the qualification of and what advice he would give Donald Trump, former Rep. Coleman (R-PA), conveyed that he expects Americans leaders to be men and women of honesty, integrity, and faith in God, which are also Filipino values that were taught to younger generation Fil-Ams and used to promote positive values. He advised Trump to learn how to admit mistakes, learn humility and openness. Regarding the Democratic candidate’s stand on promoting diversity in judicial and other appointments, Ms. Nicolas Lewis said that the DNC already has a list to be recommended by Hillary for positions in the judiciary and other departments in case she is elected. However, she opined that appointments to the judiciary are more important because of major issues pending before the bench such as immigration, the status of campaign contributions, and civil liberties. Hillary will choose judges who are liberal-minded and who will support affirmative action and diversity in the courts, she added. 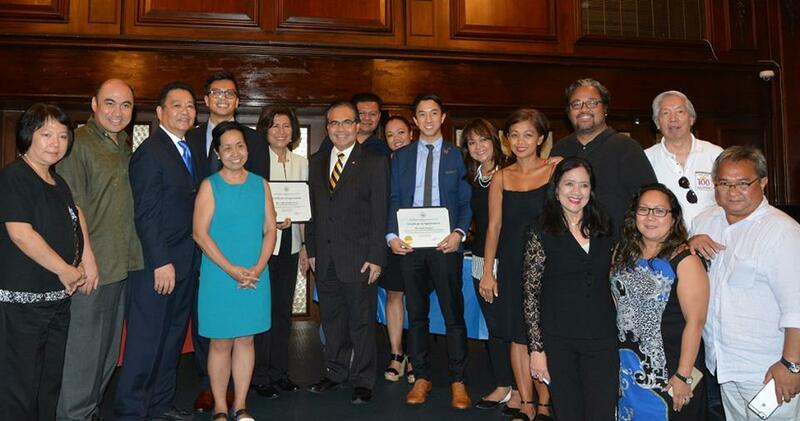 The forum was the first of its kind to be held in New York in cooperation with the Fil-Am Press Club. While the event was initiated by the Press Club, its objective was consonant with the Consulate General’s “Know Your Candidates” program that sought to introduce candidates and raise awareness on issues affecting the Filipino community, and promoting their participation in US and Philippine elections.